That “little” book saved me. After having silently suffered with taboo obsessions for years and years, I learned that I wasn’t actually alone — I wasn’t the only person who’d had thoughts like I’d had, and they were nice, relatively normal people, too. Nine years later, Lee and I are collaborating on a peer-to-peer support program (stay tuned! ), and we presented together at the OCD Conference in Boston in August. What a rush! As I tearfully told everyone in the audience, I was up there with my hero. Now you have the benefit of hearing directly from him — sorry, these are all my questions, but I tried to ask what you’d want to yourself if you had the chance. Thanks, Lee! When I was struggling the most with my taboo obsessions I was actually worried that getting better would be a negative thing. I thought, “What kind of person would I be if these terrible thoughts didn’t bother me?” and I thought the distress is what kept me from acting on them. What would you tell someone with similar fears? This is very common: OCD is very tricky so it puts sufferers of taboo thoughts in a “damned if you do, damned if you don’t” dilemma. It is very important to recognize that the OCD is trying to make you think like this and not be fooled. CBT and/or medications will not make you any less empathetic to terrible things that happen in the real world–instead, they will keep you from over-reacting to “what-if” scenarios that OCD conjures up in your mind. What made you decide to treat OCD? 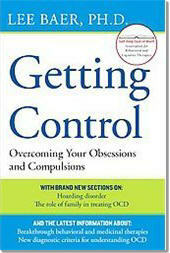 I have specialized in treating patients with OCD and related problems since about 1985, when Drs. 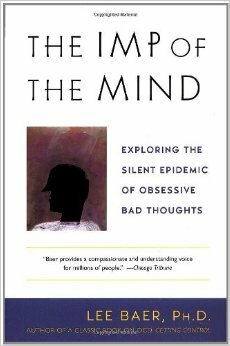 Jenike, Minichiello, and I established one of the first OCD treatment and research programs in the country at Massachusetts General Hospital, because we were fascinated by this disorder, in which otherwise highly intelligent people experienced thoughts and rituals that they were unable to control. Also, at that time, OCD was considered to be resistant to existing treatments so we saw solving this problem as both a challenge and an opportunity to make a real difference in people’s lives. I recommend The Imp of the Mind all the time. As you know, it was one of the first things my psychiatrist prescribed the day he diagnosed me with OCD, and just knowing I wasn’t the only person with taboo obsessions like mine helped tremendously. Why did you focus on this type of OCD? The idea for this book developed soon after we founded the OCD Institute residential treatment program at McLean Hospital in 1997. In the course of running several groups in this program, I noticed that patients with taboo obsessions felt ashamed to discuss their problems in group settings with other OCD sufferers with problems like excessive hand-washing or checking doors or electric plugs. When I asked why, these sufferers of taboo obsessions told me they felt that the other patients’ problems–although very troubling–did not have a moral component and did cause one to question if he or she was truly evil. They worried that these other patients — although they also had OCD — would not understand their taboo obsessions and think they, in fact, wanted to do the terrible things they imagined. To address this problem, I began a separate evening group for individuals with taboo obsessions, and found that the participants experienced great relief in being able to share their experiences with others who had similar problems. It was through running this group that I recognized the need for a book on this topic to reach others who were suffering in private. And it was through my experience with these groups over several years that I learned much of what I know about these taboo obsessions. In The Imp of the Mind you share an example from White Bears and Other Unwanted Thoughts by Dr. Daniel Wegner. The basic idea is that if you tell someone they’re forbidden from having a certain thought — in this case, picturing a white bear — they’ll be even more likely to have the thought. In fact, the thought becomes stronger the more they try to rid it from their mind. How can someone with taboo intrusive thoughts overcome the urge to push the obsessions out of their minds as quickly as possible? The thought of murdering a loved one is so painful it’s a natural response to recoil at it. Dr. Wegner’s book explains one key reason for the “stickiness” of taboo obsessions in a very easy-to-understand way. 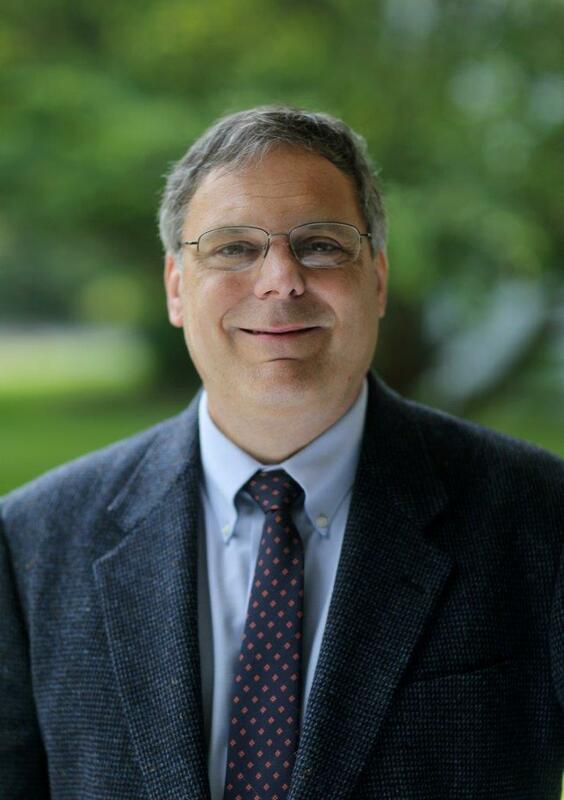 Dr. Wegner and I often discussed this topic, both before and after he joined the Harvard College faculty, and I was saddened by his untimely passing two years ago. We agreed that the first step for sufferers of taboo obsessions was for them to understand that thoughts passing through our minds are not as important as we often believe them to be. Everyone has thoughts they don’t like having at times, but the very universal nature of these thoughts proves that they are not dangerous — if this were not the case, violent and sexual attacks would be occurring daily in every home and office! Taking this leap of faith is often the first step in successful treatment. Secondly, sufferers have to understand that OCD is “tricky” and it will try to get you to fight the obsessions, giving them strength, through the mechanism of “thought suppression” that Dr. Wegner researched so thoroughly. Truly understanding these two concepts often reduces the OCD sufferers’ suffering instantly. People with taboo obsessions are terrified they’ll act on their thoughts. They think the thoughts must mean something; otherwise they wouldn’t have them. Without giving in to our compulsion to be reassured, what can you tell us about the likelihood of people with OCD acting on their obsessions? Although I tell my patients (only once, mind you!) that based on my experience, and the experience of my colleagues who treat OCD, they will not act on their violent or sexual obsessions. However, I also know that this will not really work to reassure them, because OCD preys on doubt and tries to get them to find absolute, 100 percent certainty. Yet there is no absolute certainty about anything in the future — even about the sun rising tomorrow — so the solution is to learn to live with the feelings of uncertainty, even of things that are extremely unlikely. Why do you recommend ERP to patients with OCD? I tell my patients that we all have a “rational brain” and an “emotional brain.” Their rational brain can understand that their taboo obsessions are not meaningful, and they need to learn to let these obsessions pass without fighting them, while their emotional mind can continue to react with strong, uncomfortable feelings to these thoughts. The most effective, non-drug treatment we have for reducing or eliminating this reaction of their emotional mind is through exposure and response prevention. I describe this process in detail in my book Getting Control. Many people with “pure O,” that is, mostly obsessions coupled with mental compulsions, wonder how ERP will work for them. You can’t have advise them to touch a toilet seat and then resist the compulsion to wash their hands, for example. Let’s say someone with pedophilia OCD comes to you. How might you go about exposures? I’d first help them to identify situations that they are avoiding due to their obsessions. Next I would have them gradually go into these situations while learning to tolerate the discomfort and obsessions that come while doing it. This is called in-vivo, or real-life, exposure and response prevention, and I always try to begin with this if possible. We’d also probably prepare a worst-case scenario of their worst fear coming true for them to record and listen to at home until their discomfort goes down without ritualizing. This is called imaginal exposure and response prevention. What advice do you have for folks who live in rural areas or far from quality care? I would definitely suggest they start by joining the International OCD Foundation (IOCDF) and, if there is one, their local chapter. This will provide them a wealth of support and information about support groups and providers in their area, as well as the annual meetings for sufferers and their families to learn about treatment for OCD. You and I have been working on a peer support program — our goal is to match folks who have taboo obsessions with people who have had similar obsessions and have been some progress toward recovery. What are the benefits of such support? My experience has always been that it benefits both individuals greatly: I have yet to have a patient get better from their taboo obsessions who is not excited about the idea of having the chance to give back to another sufferer at an earlier stage of dealing with this disorder (probably because they remember how hard it was at the beginning for them). And for my new patients, hearing from someone with similar symptoms who has gotten better gives them hope, and also lets them feel comfortable sharing some of their most private fears, often for the first time. If you could give just one piece of advice to people, what would it be? Try and find someone you trust to talk with about your obsessive thoughts. This can be a family member, a doctor, a clergy person, or someone affiliated with the IOCDF. But no one should have to deal with OCD alone.